For my contrasting colors, I used indigo root powder infused olive oil to create a dark blue soap and paprika infused olive oil to create an orange soap. The indigo root powder oil infusion was created using organic indigo root powder and is extremely dark (doesn’t require much to get a dark blue). Besides a fluid recipe, the keys to this technique for me were getting as close to the surface as possible, not filling my measuring cup too high (which I kept doing anyway), and pouring slowly. I really wanted to make one more attempt (and I probably will at some point) using a shorter and wider measuring cup to pour the soap into the mold. The cups I had were all a bit tall and caused me to pour a little too high at times. Lovely work. How do you keep your work space so tidy? You captured the cosmic wave! This is fantastic, Holly! Congratulations on cracking the cosmic wave code!! This was not as easy as it first appeared. Love the contrasting colors you achieved! Lovely as always… Your soaps have such a delicate, elegant look! I love them!! I love your videos – thank you so much for making them! This is just beautiful. I can see you using this again. Holly, I am so blown away by the delicate, wispy waves you achieved! Your soap turned out absolutely stunning! I love that you used natural colorants in this gorgeous soap. I was also so impressed with your video! Thanks so much for sharing your process. 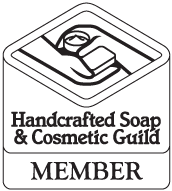 Holly, your soaps look exquisite! I love the wispy waves and delicate colours that you’ve achieved. Thank you for sharing your video too! Nice. Never apologize for your talent. It all looked perfect. And yet another amazing looking soap! Just beautiful! I just discovered your site/ blog and am so glad I did! I also very much appreciate you using natural products (at least the ones I have looked at so far here). Very grateful again that you are sharing the recipe as well!